Stainless Steel Nylock Nuts – Stainless Steel Screws Manufacturer India. We bring forth a premium assortment of Stainless Steel Nyloc Nuts, which is offered to industry at major rates. 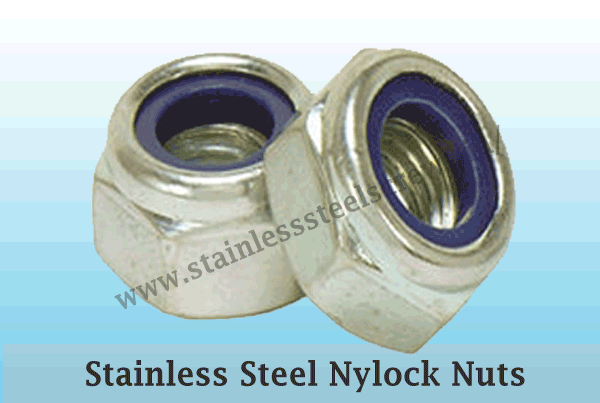 Nylock Nuts are manufactured using fine quality of Stainless Steel. While using absolute quality components these nuts are reliable and durable for usage throughout fastening requirements of diverse industries. These nuts are perfect for fastening in applications encountered with regular vibrations. To satisfy the specific demands of each of our clients, we undertake customization of our own entire range. Nylock Nuts are used in the exterior regions of machinery and structures including Grills, Stairs Chandeliers, Train Coaches and Submersible Pumping systems.